Aeronautical radio ground stations such as Enstone Radio (129.880) provide analogue voice and data link communications with aircraft. Oxfordshire Sportflying is the Wireless Telegraphy Act licensee holder at Enstone Airfield providing an A/G service and is responsible for ensuring that all individuals using the radio are in possession of an appropriate Radio Operator’s Certificate of Competence (ROCC) where required (even when under training), and are competent in both the operation of the equipment and local procedures. OSF provides written authorisations to each radio operator when their competence in the operation of the equipment and local procedures has been demonstrated. In order to do this OSF offers a full AGCS course providing both the theoretical and practical training required. All training is undertaken with ‘in house’ instructor/examiners. The ROCC should not be confused with the Flight Radiotelephony Operator’s Licence (FRTOL) which is required to be held by those persons operating aeronautical radio equipment in UK registered aircraft. An Individual must hold an ROCC if they are providing an “ground to air” service. 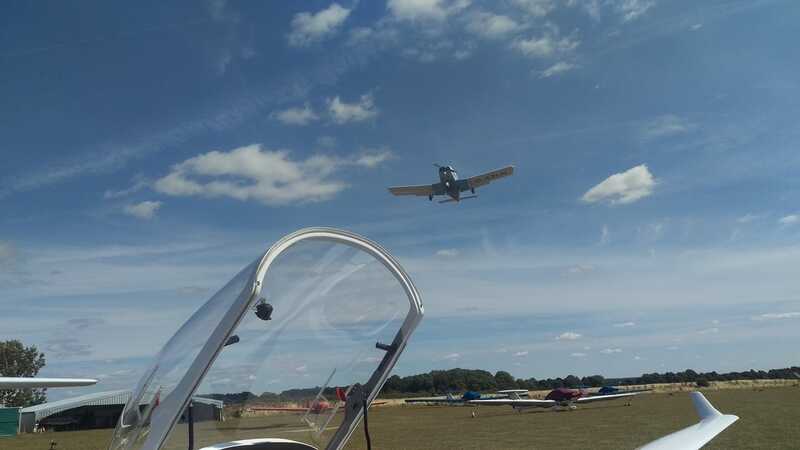 All AGCS Training is conducted in house with Oxfordshire sport flying instructors and examiners. For more information on taking a AGCS Course, or for any further guidance or study material please call us on 01608 677208, we’ll be delighted to be of help.